I run for my health. I run because it’s my “me” time. I’m able to disassociate from everything that’s going on around me. I am able to meditate and communicate with God. My best marathon experience was running in the Marathon de Paris. It was my first international race and I PR’d!!! I pace to give back to the running community. It’s not easy running a marathon; so being able to coach and lead others to the finish line is very rewarding. I love helping others achieve their goals and dreams. 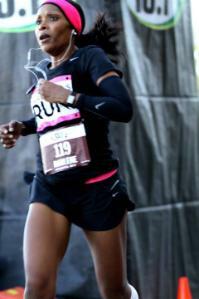 My best pacing experience was at 2012 Bank of America Chicago Marathon. We had a lot of first-time marathoners running with our Pace Team. The energy level was high and the crowd support was strong!!! Several of the runners that I knew personally ran sub 5 hrs times. My friends call me Miles of Smiles because of my positive and upbeat attitude on the pavement. 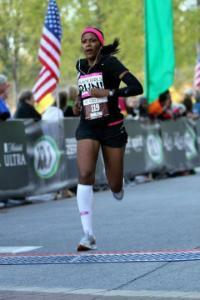 In addition, I trained many women to complete their first half and/or full marathon. Start out slow and find your rhythm. Hydrate and fuel throughout the race even if you don’t feel/ think you need it. While I’m not pounding the pavement or being an ambassador of all things running. I’m busy being a Mommy to my 4 year our daughter, Morgan. 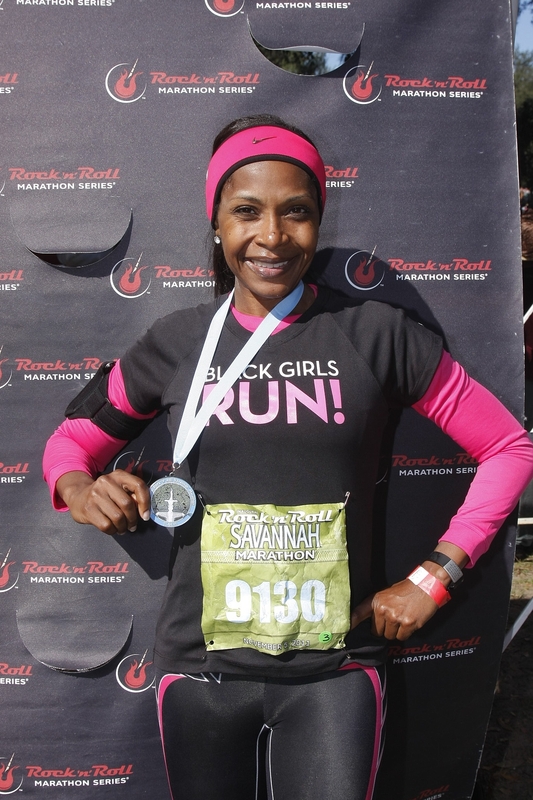 Ambassador of Black Girls Run! Atlanta, Grassroot Ambassador of Rock ‘n’ Roll Savannah, Ragnar Ambassador, and former Ambassador for Zooma Women’s Race Series.